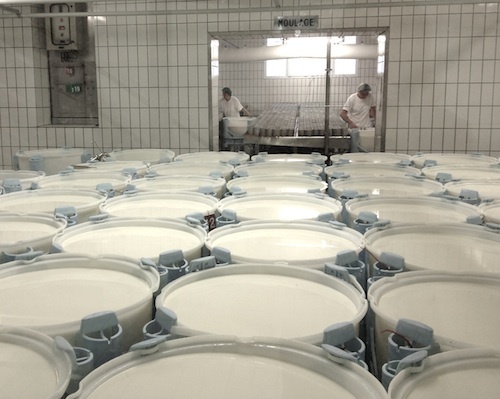 As with most food items today, there is a traditional or artisanal product, as well as industrial products (in the case of Camembert, the industrial creamery giant Président, as well as others, produce pasteurized, machine-made Camembert). 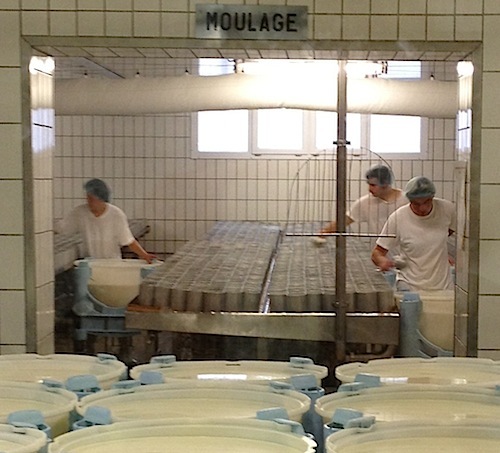 During my Normandy & Brittany tour, we savored a tour & tasting at Réo (orginally known Réaux), one of the last remaining traditional producers of Camembert cheese. Réaux AOC Camembert cheese and crème fraîche made from raw cow’s milk. 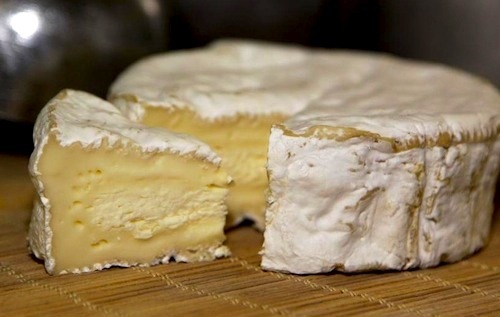 Due to USDA regulation, all camembert found in the United States has been pasteurized. 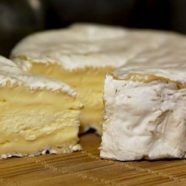 To be granted the AOP* status, Camembert must be produced solely with raw milk from the Norman cattle breed, and the milk must be ladled by hand into the molds. 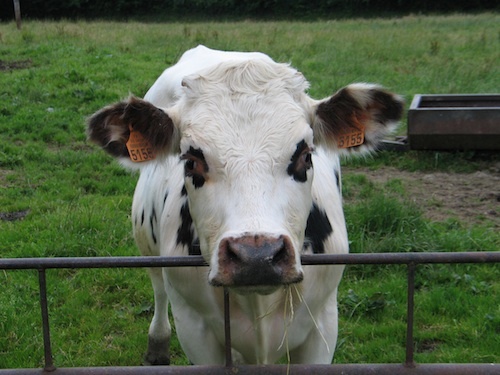 A Norman cow can be identified by the markings ~ a white body with brown spots, and brown “raccoon eyes”. Hand-ladling is labor intensive, each person working the ladle must ladle approx. 1000 molds per day. Fresh Camembert has been aged approximately 2 weeks. The bumpy, fragrant rind conceals a creamy, soft cheese with a slightly firmer center ~ a sign of freshness. * AOP: appellation d’origine protegée, a concept similar to AOC based on terroir, indicating a quality standard reflecting certain geographical/environmental conditions and human savoir-faire (traditional know-how).